When Louis Renault drove down Rue Lepic on the night of 24 December 1898 in the little car he had made entirely himself, he never suspected that it was a turning point in his life. The bystanders were delighted with the new vehicle and Louis Renault immediately found himself with a dozen firm orders. He was only 21 and the workshop in the garden of the family home in Boulogne Billancourt was too small for him to fill the orders. To help him get started, his two older brothers, Marcel and Fernand, founded the company Renault Frères in Boulogne, with Louis as a simple employee. In less than a year, 70 of the little cars or “voiturettes” had been produced and sixty people were working alongside Louis Renault. 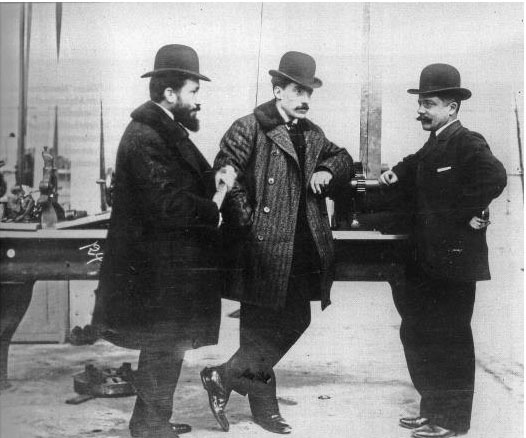 After Marcel’s accidental death in 1903, Louis became Fernand’s partner. He later sold him all his shares in 1908. Louis then became the sole owner of the company which he renamed Société des Automobiles Renault.